This Spring Liverpool’s international arts venue, The Capstone Theatre, will be championing a range of exciting contemporary dance and physical theatre. The season’s dance selection starts with a performance by Fallen Angels Dance Theatre, Upon Awakening (Tuesday 31st January, 7.30pm). 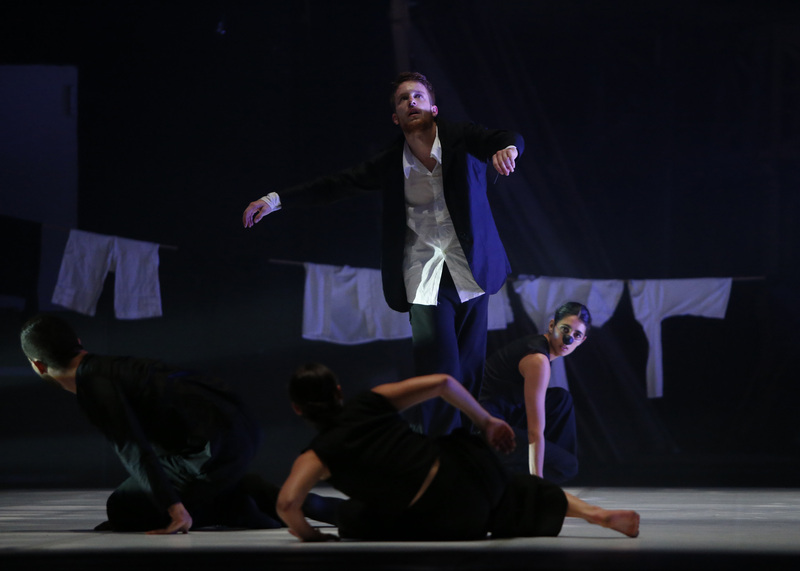 For this performance choreographer/director Paul Bayes Kitcher works with people in recovery from addiction to deliver an emotive and thought-provoking piece. Then on Friday 3rd February (7.30pm) the acclaimed and virtuosic ensemble Zfinmalta (Malta’s national contemporary dance company) deliver performances of two pieces, Kick the Bucket and HOME. As part of Liverpool Hope University’s Cornerstone Arts Festival 2017, there will be three free admission performances. Reckless Sleepers stage their piece Negative Space on Monday 6th March (7.30pm). Negative Space fuses many styles of theatre to present to interlocking stories told without words. On Wednesday 8th March(7.30pm), Marco Vargas and Chloe Brule present In The Room, an evening of stunning flamenco duos. Then on Thursday 9th March (5pm), dance company VERVE (the postgraduate performance company of the Northern School of Contemporary Dance) present a double bill new international work. Later in the season on Tuesday 2nd May (7.30pm), the Capstone presents a butoh performance by one of the style’s leading proponents, Italian based Japanese choreographer Sayoko Onishi. Onishi’s prize-winning work is here presented as a double bill, Animal Science and Primavera Siciliana. These two works explore profound concepts related to time, energy and human experience. Finally, on Thursday 18th May (7.30pm), Writing on the Wall Festival presents at the Capstone Estuary, an atmospheric piece fusing original music (Neil Campbell/Perri Alleyne-Hughes), spoken poetry, visual projections (Peter Dover) and dance (with choreography by Rachel Sweeney). The work is based on Séan Street’s poetry of tides, rivers and harbours.